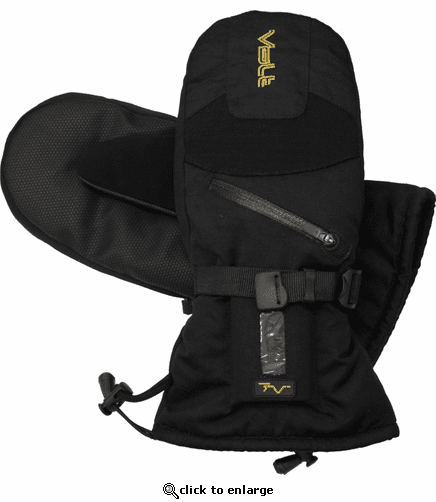 Volt heated mittens have been a best seller for years because of their amazing value and performance. Here at The Warming Store, we always recommend Volt mitts because we know our customers are going to love them! Our Volt Heated Mittens provide high quality warmth and are probably the most versatile battery heated hand warmers as well. Designed to be easily taken on and off, they are great for those looking for some warm shelter for their hands but also the ability to quickly remove them when your hands are called to action. We all know that mitts/mittens are warmer than gloves but what makes our Volt Heated Mitts even more unique is that we combine 200 grams of Thinsulate insulation with our Zero Layer heating system that concentrates heat to both sides of the hand and the thumb not only keeping your hand warm but your fingertips as well. If you are looking for some serious warmth but still like to have quick access to your hands then the Volt Heated Mitts are the only way to go. Whether you are in the stands at the ballgame, or sitting on a frozen lake or getting ready to tee it up on a frosty spring morning, go with our Volt Heated Mitts and you will never be left out in the cold again. My husband was in a motorcycle accident and can't use his right arm and hand. his hand stays pretty cold most of the time and he can't get regular gloves on so I went with the mitts. So far he really likes them and has been of great help.